Purpose: To detect a rupture of the achilles tendon. Performing the Test: The examiner gently squeezes the calf. 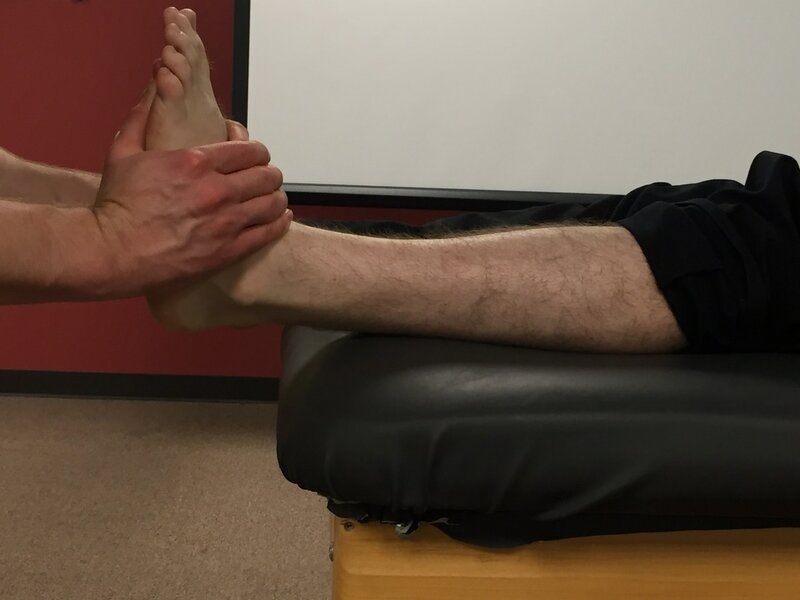 A positive test is considered when the ankle remains still or there is significantly less plantar flexion than the contralateral side. Importance of Test: The achilles tendon is the largest tendon in the human body. Due to the amount of stress placed on the tendon each day, it is also one of the most commonly injured tendons. The tendon serves as the attachment point of the gastrocnemius, soleus, and plantaris muscles to the calcaneus. Because of passive tension in the muscle, when the examiner squeezes an intact calf muscle, he or she will see plantar flexion at the ankle. During an achilles tendon rupture, the passive tension in the ankle is altered, and significantly less plantar flexion will be seen during a calf squeeze. Flynn, Timothy. Users Guide to Musculoskeletal Examination. Evidence in Motion. 2008. Print. Maffulli, Nicola. "The clinical diagnosis of subcutaneous tear of the achilles tendon." The American Journal of Sports Medicine. Vol. 26, Number 2. 2008.